Thank you Kristen for sharing with us! Lauren was diagnosed with 1p36 deletion syndrome when she was three months old. I knew something wasn’t right after all the doctors we ended up having to see while I was still pregnant with her. When I was 7 months along we were sent to a pediatric cardiologist after one of the ultrasound techs found an abnormality during a routine check up. Lauren weighed 5lbs and 13oz when she was born and the fact that she was diagnosed with the heart defect Ebsteins Anomaly made doctors want to due further testing to see if she had some kind of syndrome. Once her blood test came back with 1p36 deletion syndrome we were sent to a geneticist and the roller coaster ride began. 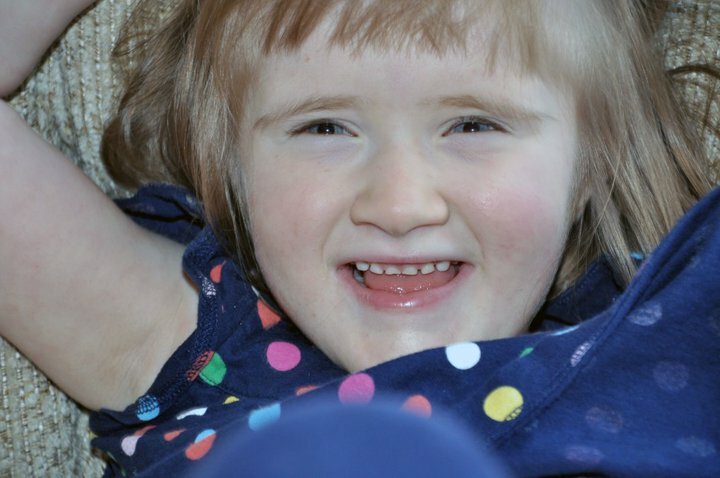 We were seen by specialist after specialist to see how this syndrome was affecting our daughter. She suffered from horrible reflux for the first three years of her life. She had horrible sleep patterns. I honestly think she slept through the night twice the first three years. She has suffered from severe constipation and gastrointestinal problems. She was diagnosed with moderate hearing loss and had to wear hearing aids for about a year. If we fast forward to now Lauren is doing amazing. She just turned 5. She started walking almost a year ago, Although she doesn’t say much she gets her point across very well. She is seen by her cardiologist yearly to monitor her heart defect. As far as her hearing goes she does not wear hearing aids anymore. Her audiologist said the her hearing basically fixed itself and is almost completely normal. Her pediatrician is amazing and put her on a special sleep medicine and she sleeps like a champ now. We still battle her constipation constantly. The newest daily battle we are dealing with is behavior. She has been pinching not only us but her teachers, classmates and friends. Not sure what we are to do there but we will figure it out I suppose. Lauren receives occupational, physical and speech therapy weekly. I thank god for her everyday and for all that she has taught me to this point. And I am very thankful for my 1p36 family. We have an incredible support group of awesome moms. I thank you Karen West for finding me on that lonely website and inviting me to be apart of this group. I was so lost back then and didn’t know who to turn to. Please help us raise awareness and help all of these sweet kiddos get what they need to reach their full potential. Sign up for daily emails and you may win an iPad! Click the link at the top of the page to learn about 1p36 DSA's very own daily email reminders and how you might win an iPad if 1p36 DSA wins 50K! Thats all it takes to vote three ways for 1p36 DSA! We know! We timed it! Of course we want you to vote all three ways every day but you have a very special mission assigned for Friday October 1st! We are asking that you vote first thing on Friday morning. Voting begins for October at 6am Eastern time on October 1st. The amount of votes we get those first two days will determine where we place on the leader board for the rest of the month. Wouldn't it be great to start out our final month in the top ten?! Word on the street is that some 1p36 voters on the west coast are going to set their alarms for 3am PST just to get their votes in first thing! If you were paying attention, you might have noticed that we said "final month". Its true. 1p36 DSA wants to win in October. If we don't, we will sadly admit defeat. But we'd rather be celebrating a great victory for all children and families affected by 1p36 Deletion Syndrome! You can help us do it! Time to put the pedal to the metal, get the lead out, take it to the streets, shout it from the roof tops, and....vote! 3 Days Left and Every Vote is Needed! Have you become complacent about voting for 1p36 DSA? Don't despair! Our position this month will determine where we start off next month. And next month we want to start off strong! New exciting information and strategy to get us in the money coming soon so keep the faith and keep voting! Remember that every vote counts! Tabitha's parents finally get an answer after a year and a half of wondering. 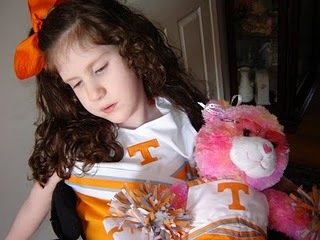 Tabitha was diagnosed with Monosomy 1p36.2 at the age of 1 1/2 years old. The first year and a half of her life was spent with a lot of what I call "symptomatic diagnosis's" . Meaning, a lot of diagnosis's that were merely just symptoms of Monosomy 1p36 such as scoliosis, reflux, epilepsy, minor heart deformities, etc. We knew that there had to be a bigger reason for all of these so called small diagnosis's we were receiving. I remember that genetic testing wasn't even pushed by our doctors and that we were the ones who pushed for the testing because we demanded every avenue be taken. 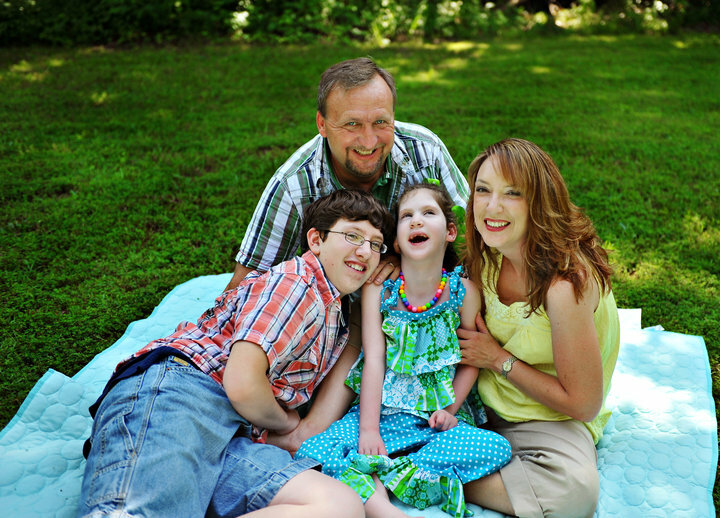 At first, the genetic doctor suspected a form of mitochondrial disease in Tabitha. We were to travel to another state for further testing. A few days before our scheduled trip he called me with the phone call I will never forget. "Mrs. West, I have the answer!" I was somewhat relieved and shocked all at the same time. This diagnosis was not terminal and for us that was the best news we could get! We also learned that our daughter's life was surely not going to be easy for her...or us. She would require many therapies, and many specialists. 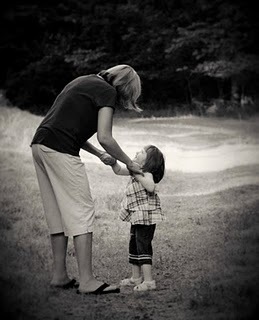 She will be at high risk for many illnesses, and when/if (more specifically WHEN) she learns to walk, it would be at a much later time in life than most people. Every progress will be a slow progress, and sometimes it will feel like there is no progress being made at all. It has been a "different" journey for us. Our life is never boring and Tabitha has taught us, our friends and family that the joys in life are not to be taken for granted. And also patience...patience is key. Patience for wisdom in our medical community, and patience for us while we wait and watch this unheard-of syndrome, become more and more known every year.